They toured together, while working on an album, even though Harris thought Parsons’s destructive lifestyle might get in the way of the album. It didn’t, but it did destroy Parsons, who died in September 1973. “Grievous Angel” was released in 1974, and while it wasn’t a commercial success at the time, Rolling Stone had it on its list of 500 best albums of all time in 2003. Parsons’s death shocked Harris, who, while already in her twenties, came from a more organized world. Her father was a military officer and a Korean war veteran. The family settled in Virginia, where Harris went through high school and earned a drama scholarship to the University of North Carolina. “I was a person who never had fun in high school because I was too busy being a grade-A student, and here I was with people who really knew how to enjoy themselves. I was very much the country mouse, trying to be professional, always turning up on time, ready to work, while Gram seemed very untogether,” she’s said in earlier interviews. She may have had straight As in school, but something else had got a hold of the teenaged girl. Music. “I had a happy childhood, but there was a hunger in me, for something. People told me I had talent, but I didn’t feel special, I just did what I did,” Harris said in an interview with the Polar Music Prize organizers. “Someone in my family had a guitar and I picked it up and started strumming, and all of a sudden I never wanted to put it down again. I could do so much with just three chords. I always wanted to sing, not be a lead guitarist. My outlet was in the singing and the lyrics,” she added. Harris’s inimitable style has brought her 13 Grammys, in five different decades, the latest one last year for her album “Old Yellow Moon”. 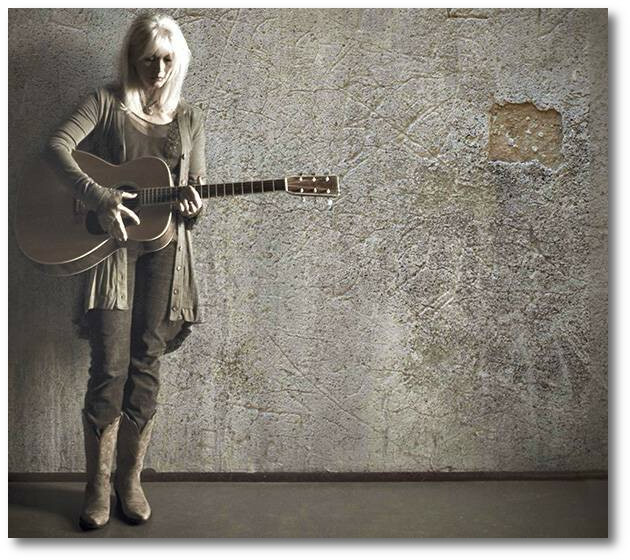 She’s worked with the biggest names in the industry, including Bob Dylan, Dolly Parton, Linda Ronstadt, Neil Young, Roy Orbison, Bonnie Raitt, John Denver, Willie Nelson, The Band, Mark Knopfler, Steve Earle, Ryan Adams, and Elvis Costello. “When I first started my serious career, I came through the country music door. I felt a connection with country music, although I know I don’t have a traditional country voice,” she says. Maybe it was just that, the non-traditional voice, that made her special. Whatever it was, she had it, and in 1976, that voice brought Harris her first Grammy award, for Best Female Country Vocal Performance. “I don’t have a huge range, I work within a certain number of notes, but occasionally if a song goes up for one note, I can do it because if I really want to sing a song, very little can stop me. If you find the right song, it’ll just happen. The challenge is to continue to find those songs, and the even bigger one, to write them. You need the right words,” she says. Harris is one of the best in the business, but she’s famous for being a great interpreter of songs. She takes a song she believes in, adds her voice to it, and through osmosis the music and her voice become one. “The voice is also an instrument, and you’re being asked to add your sound to the song. It’s collaboration and you never know what it’s going to turn out to be, thankfully, because most of music is a surprise,” she says. Songwriting isn’t easy, she says, and when she does it, that’s all she wants to be thinking about. “I can’t do anything else. When I wrote Red Dirt Girl, I left my record company and let the band go. And I wrote. I have to clear everything else out and put in a certain amount of time,” she says. During her five and a half decades in music, she’s covered several genres, from folk to pop, to bluegrass to country, and latest, to Americana, an amalgam of all of the above. The first six of her Grammys are filed under country, including her 1987 platinum success “Trio”, together with her friends, fans and idols, Dolly Parton and Linda Ronstadt. “When Linda and I first met, we asked each other who our favorite girl singers were – and we both said Dolly Parton,” Harris says. “Trio” didn’t win Album of the year – that one went to U2’s “Joshua Tree”. Coincidentally, Joshua Tree was where Gram Parsons had died 15 years earlier. In 1995, Harris switched gears with Daniel Lanois – the producer of “Joshua Tree – who produced her album “Wrecking Ball”. “Country and bluegrass have the same well spring, [but] “Wrecking ball” was the big sea change. I was ready for it. I needed a jump start,” she says. “I became passionate about music through [the] folk movement, especially through Joan Baez and Bob Dylan, and to me everything runs together. There’s a simplicity in the melodic structure of country music and it tells as story, as do the words. It’s hard to write a good country song because you can’t do a lot of musical embellishment. “[Çountry Music Hall of Famer] Harlan Howard used to say that country music was “three chords and the truth”. That’s about it. You have to go straight to the heart,” Harris says. That’s where the stories live. Originally published in Scandinavian Traveler.